I just received this email from my friend Ruby Gan, owner of Schu and MYTH. She was apparently sold a second-hand phone by Sony Ericsson's dealer, Memo Xpress. I am publishing her email in full to serve as a warning to those planning to buy cellphones to make doubly sure that what they are getting are new units. Thank you for allowing me to vent my frustration. This happened in the afternoon of February 3. 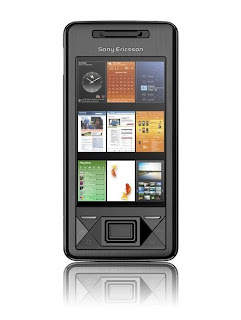 I went to the Sony Ericsson shop in Glorietta 3 to get the Sony Xperia. This shop is owned by Memo Xpress. Annabel was the girl who assisted me while I tried their demo unit. Convinced that this phone is good and had all the features I was looking for, I decided to get a black one. Annabel went to the stockroom to get the unit. After showing me that all the paraphernalia was complete and filling up the Warranty forms, etc, I made sure for the last time and asked her if the unit was brand new. She assured me it was. Once at home, I did the usual things: installed and synced the phone to my laptop. After successfully doing those, I started to check the phone. Much to my surprise, I saw that the Owner's Information was already filled in, complete with a name, an address, phone number and even a yahoo email address. Upset that I was duped, I immediately called the shop. I told them I wanted my money back and that I would be leaving my house soon so I could be back in Makati in no time. In the car, I asked my son to browse some more - and there he found contacts in the address book - mixed with mine, photos and a string of text messages. Since I wanted to make my contacts private, I decided to delete all contacts in the phonebook, together with the other previous entries. In any case, I thought I'd ask friends who may know people from SE. I finally got the number of Patrick Larraga and the email address of Jingjing Romero - she's from SE's PR company. I sent a message to Patrick but didn't get a reply. Since it was already getting late, I had to make a choice between the other two USED units. You know, like choosing which is the lesser evil of the two. I was dumbfounded! Never in my life did I think that I would have to choose between two lemons! Anyway, I made a choice and left the store. I told myself this is just not right! The following day, February 4, I got a call from Juliet Jose. She was told by Patrick to give me a call and get the details once more. By mid-afternoon, I texted Juliet for an update. She said that they will get me a brand new phone but could not get a straight answer from the people in the Glorietta store. By early evening, I got a text message from Juliet that Memo Xpress will now handle this incident and that they will be the one to deliver the phone to my house. I got my phone and a free Hancock SD (maybe to appease me?). February 5, I received a service call from Aizz of Memo Xpress, asking if the unit is working, blah blah. I asked about the used phones but again I did not get a straight answer. The whole day went by without a word from Sony Ericsson nor a reply to my last email to Jing. It is now February 6 and I still have not heard from anyone. I called up Aizz this morning but all she could tell me was that there is an investigation going on, that they don't know how this happened and that the units could have come from their Head Office or other branches. I pointed out that regardless where the units came from, bottomline is that there are sticky fingers using the phones and putting them back for re-sale! But she could no longer give me any answer. This is really frustrating! Am I supposed to just keep quiet now because I finally have my brand new phone? Why is SE so quiet? Aren't they bothered with what happened? Aren't they supposed to give me an update? Or did they expect that this will blow over if they just kept mum about it? Probably, with the silence, they are thinking na magsasawa din ako and that will be the end of it. You know what I am thinking - it is highly possible that Memo Xpress is their biggest distributor and if this is the case, how can SE reprimand them? You might as well cut off your right leg! I suggested to Ruby to file a complaint with the Consumer Welfare Group of the Department of Trade and Industry, so that it could teach Sony Ericssson and Memo Xpress a lesson on ethical business practices. Come to think of it, even the haoshiao cellphone retailers at Greenhills do a better job of deleting any previous information on "used" phones they resell to the public. Tsk, tsk. pangs, baka ruby wants this to be posted sa FB... grabe! atsaka ang mahal ng telepono na eto! Agree. It would cost you a liver and both kidneys to get this phone. grabe! akala ko ako lang ang naloko ng Memo Xpress. Puro naman LIARS ang staffs and OIC's nila. Can you be more specific about what they did to you Liz? Would appreciate it. Btw, you should report them to the cops and the DTI. There is a pending consumer case against Memo Express, so the more people who report their complaints vs the store, the better. It will send a strong message to the owners not to mess around w/ consumers' rights.